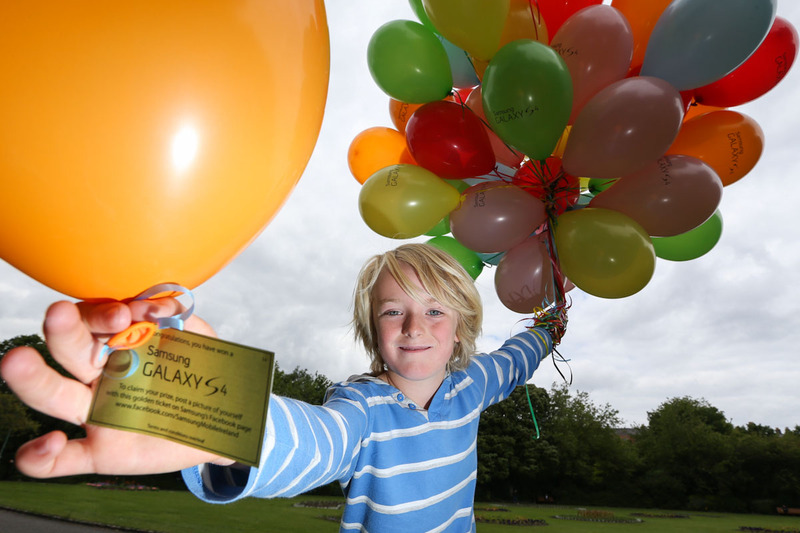 Pictured shows Django McMahon (aged 8) as Samsung IT & Mobile Ireland celebrated its flagship handset, the GALAXY S4 (which surpassed 10 million unit sales worldwide in its first month) with an impromptu release of 500 multi coloured balloons at Merrion Square, Dublin. 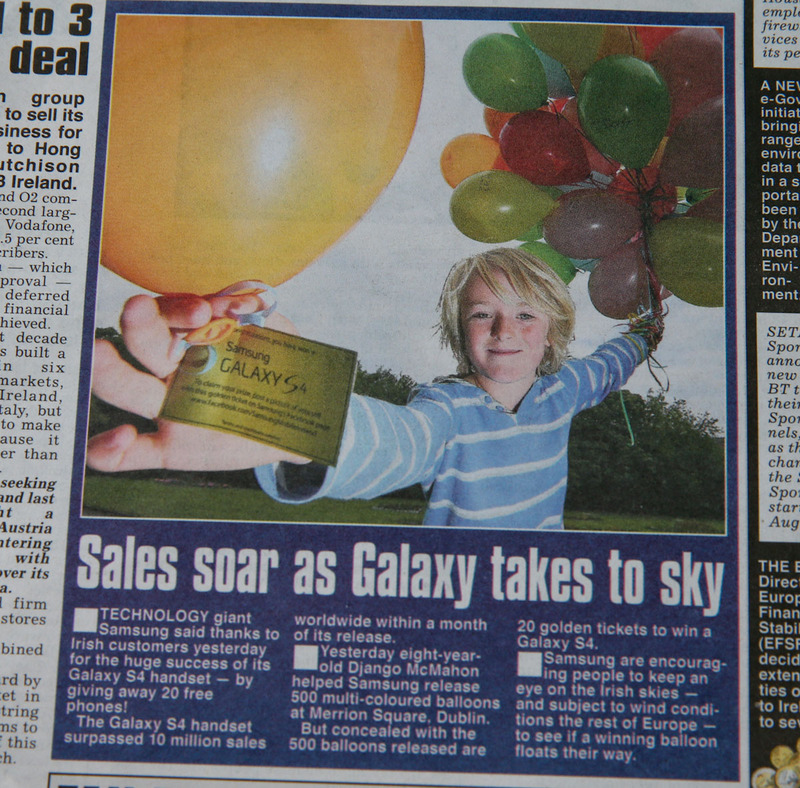 Concealed with the 500 balloons released are twenty golden tickets to win a GALAXY S4. 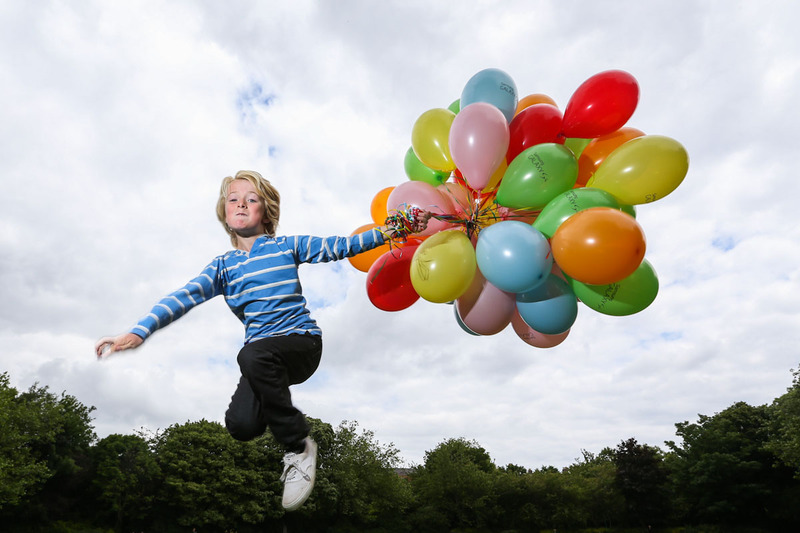 Samsung are encouraging people to keep an eye in the Irish skies and subject to wind conditions the rest of Europe to see if a winning balloon floats their way. 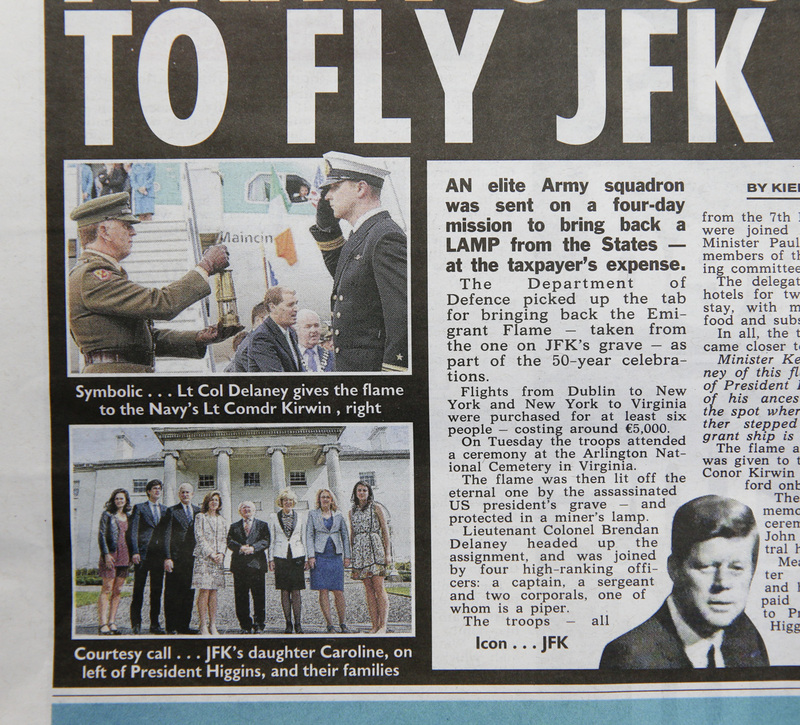 Who knows where they land or who will find them? 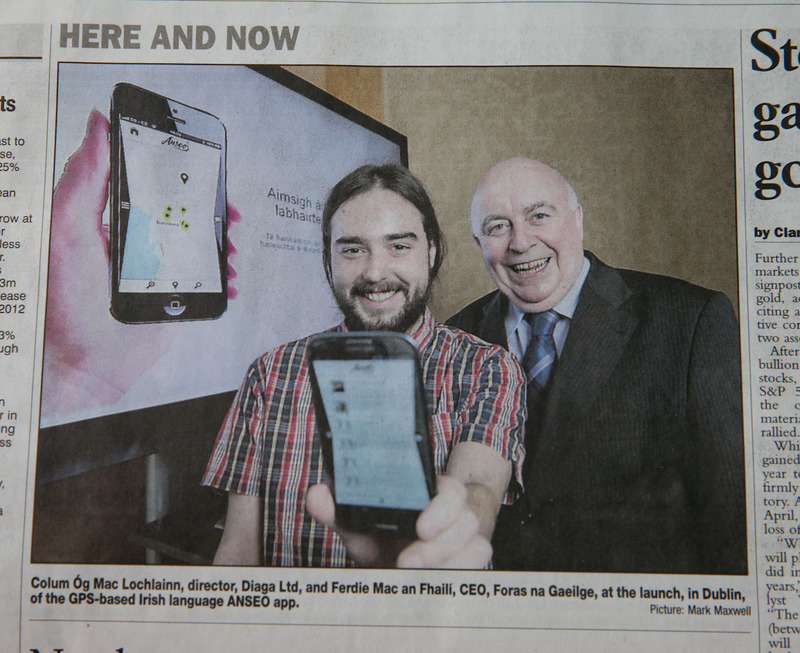 PIC SHOWS: Colum Óg Mac Lochlainn – Director Diaga Ltd and Ferdie Mac an Fhailí – CEO Foras na Gaeilge at the launch of The App ANSEO in Dublin today. 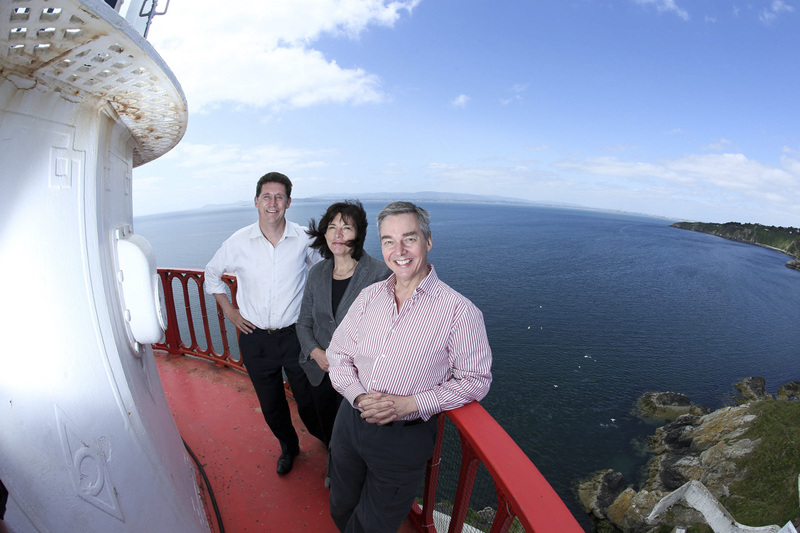 ANSEO is a GPS based Irish language App to connect you to your friends, to market your business and to promote your Cultural group or Irish language organisation As Gaeilge. 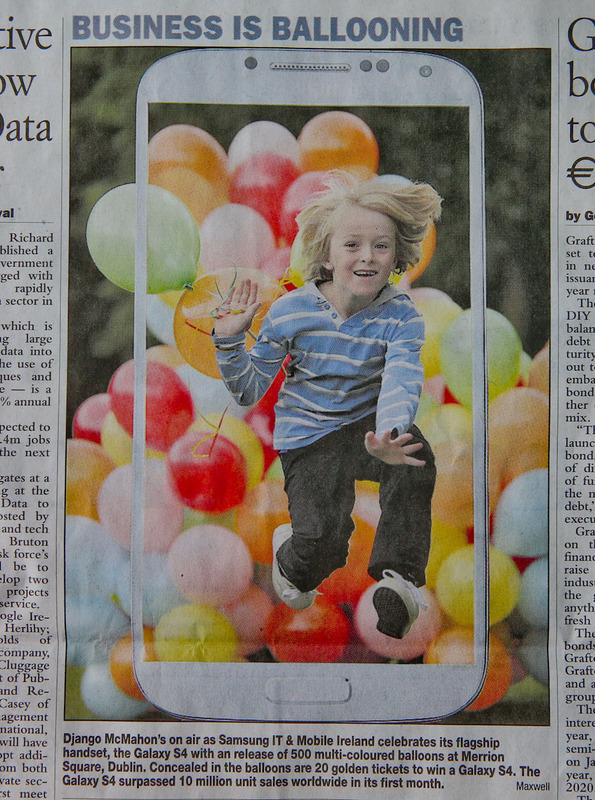 Available on the Apple App store and the Android market . 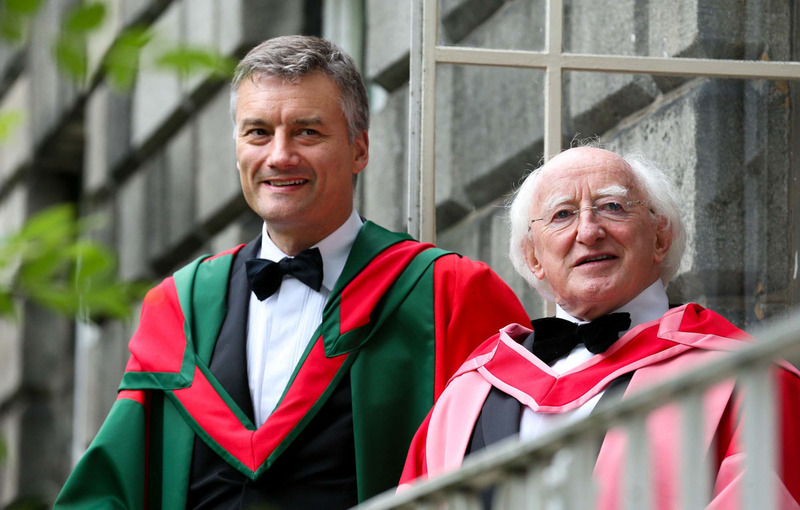 A GPS based Irish language App to connect you to your friends, to market your business and to promote your Cultural group or Irish language organisation As Gaeilge. 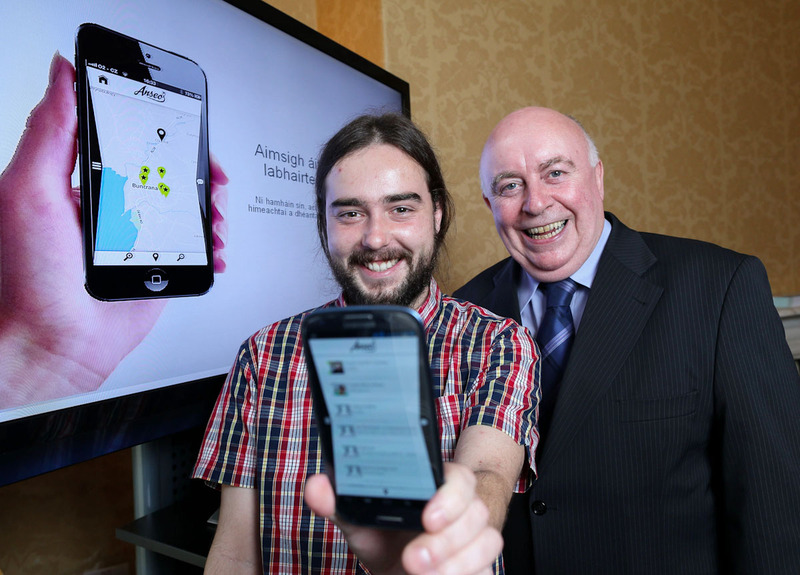 The App ANSEO gives people a place to meet and chat with new friends, or practise your Irish locally. 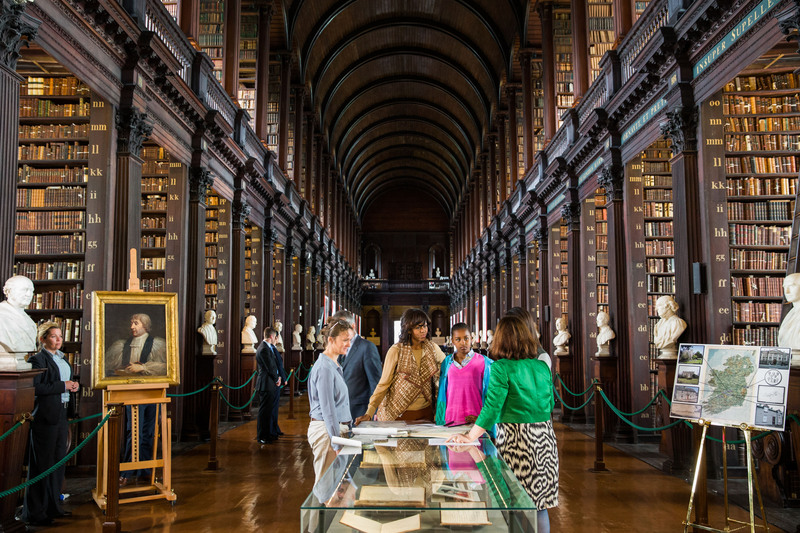 Users also gain access to local businesses, cultural groups and other organisations with our GPS based map feature, where they can meet up with others with a similar interest or practise their language skills in real life, and all in Irish. 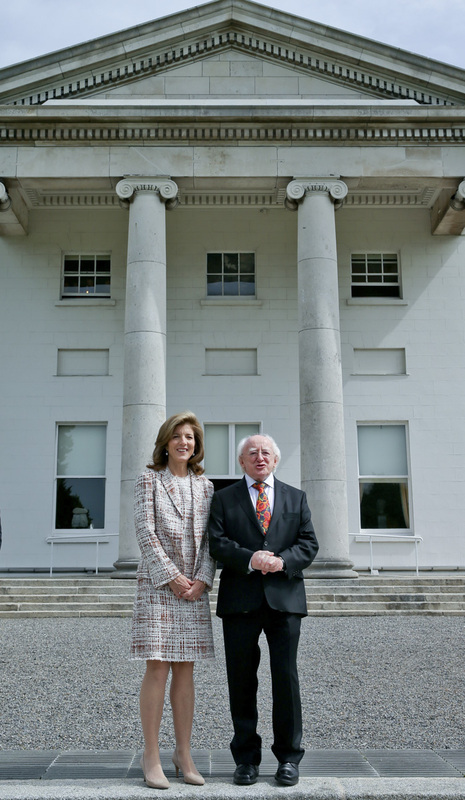 Anseo is an mobile application designed and built by Diaga Ltd. which is aimed at Irish language speakers, learners and enthusiasts all around the country. 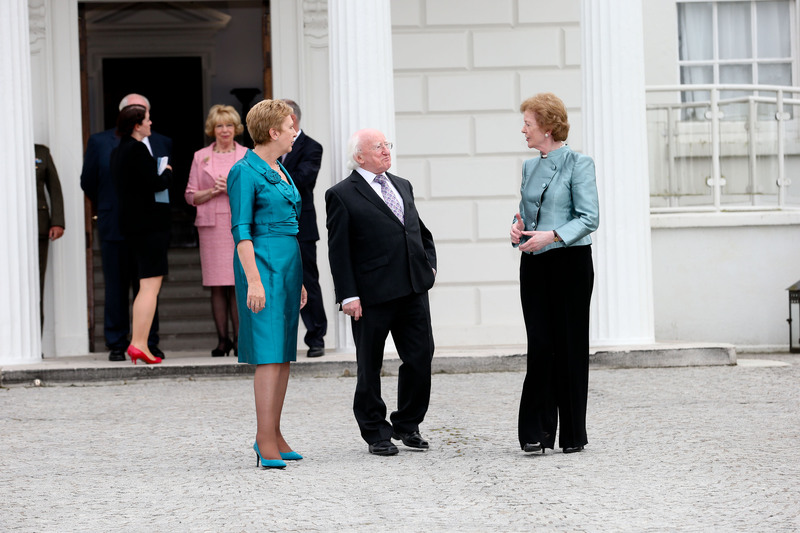 Anseo brings together both individual users with group users, who can be businesses, cultural or community groups, schools or any other organisation which uses Irish, even partially. 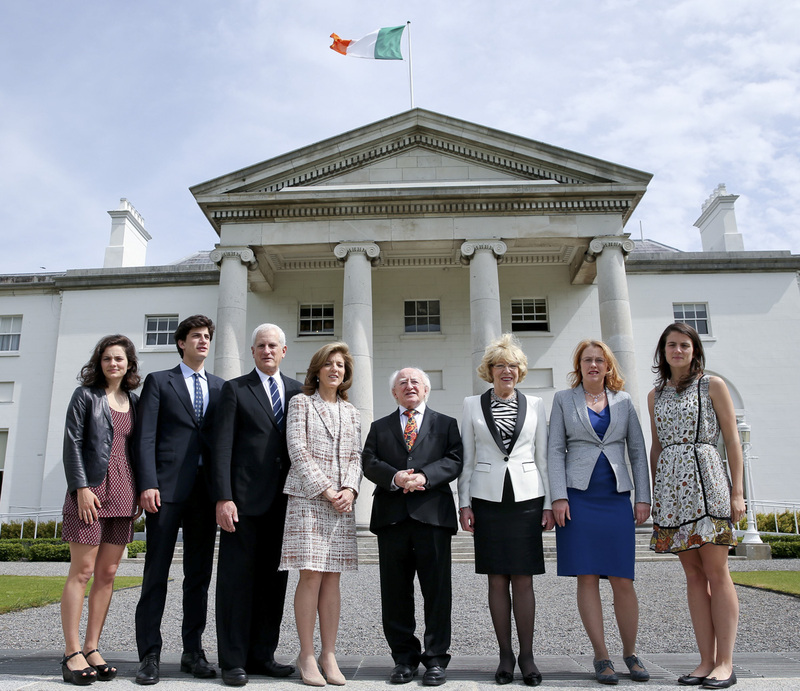 The aim of Anseo is to bring together all these people and groups to create the digital gaeltacht, a space where the Irish language can thrive both digitally and in the real world. 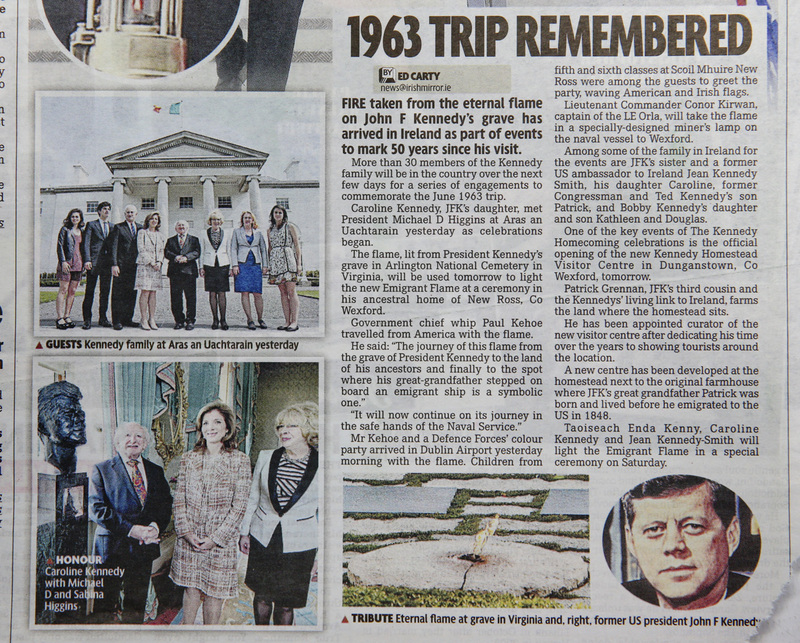 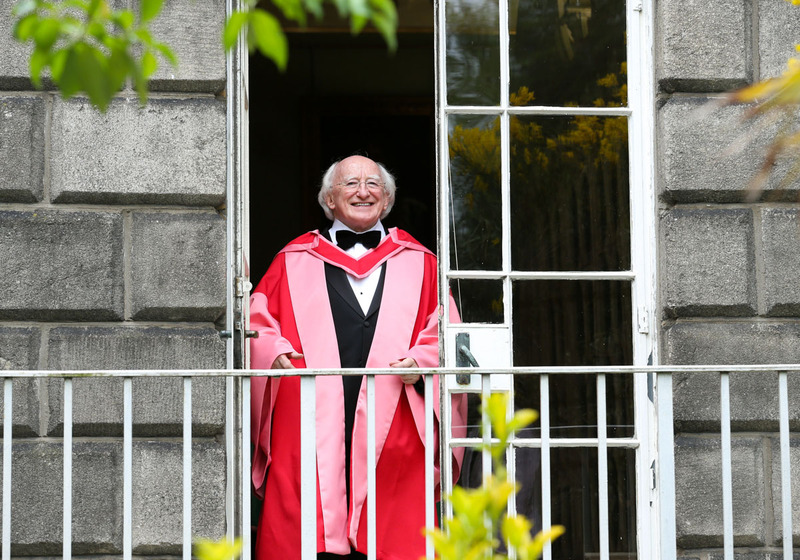 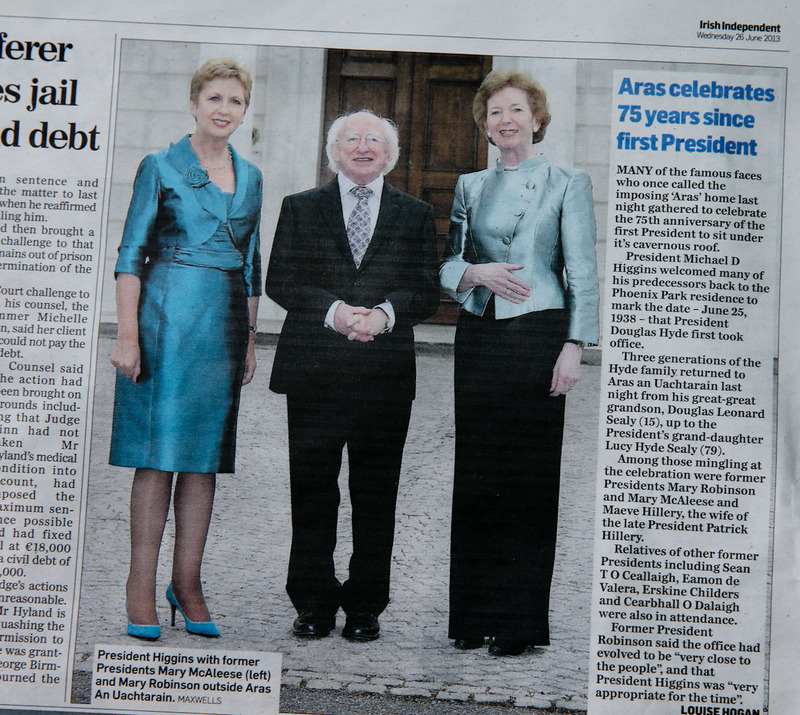 President hosts dinner to commemorate 75th Anniversary of the Presidency of Ireland in Aras An Uachtarain. 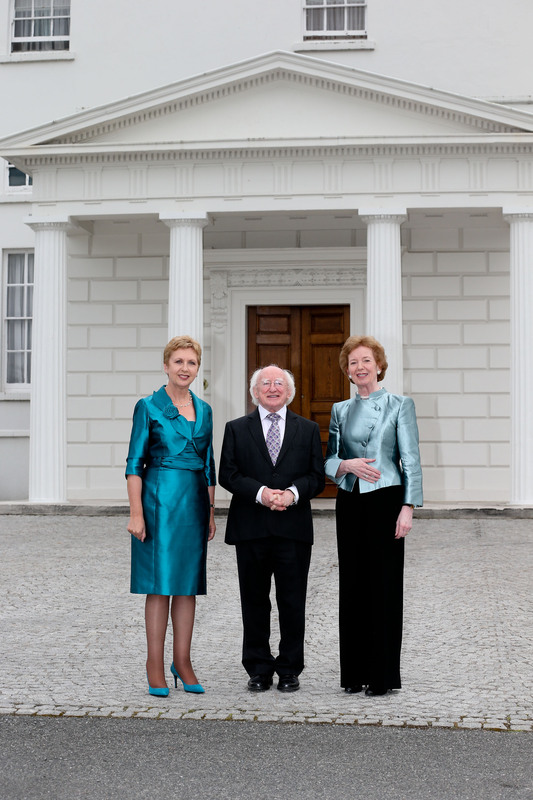 Pic shows President Michael D. Higgins with former Presidents Mary Robinson and Mary Mc aleese outside Aras An Uachtarain. 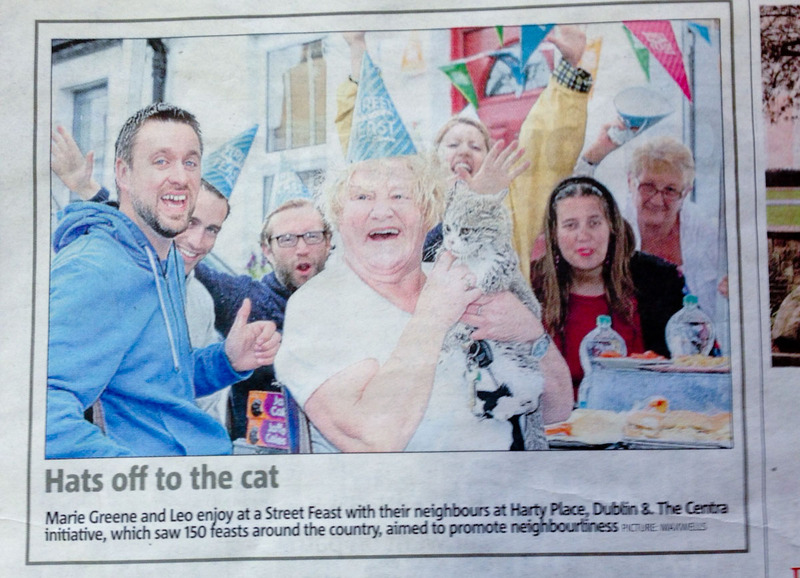 Harty Place Dublin …Pic shows 65 yr old Marie Greene a resident on Harty place for over 20 years as she leads her Neighbours to the party at Harty Place.The residents enjoyed a Street Feast with their community today! 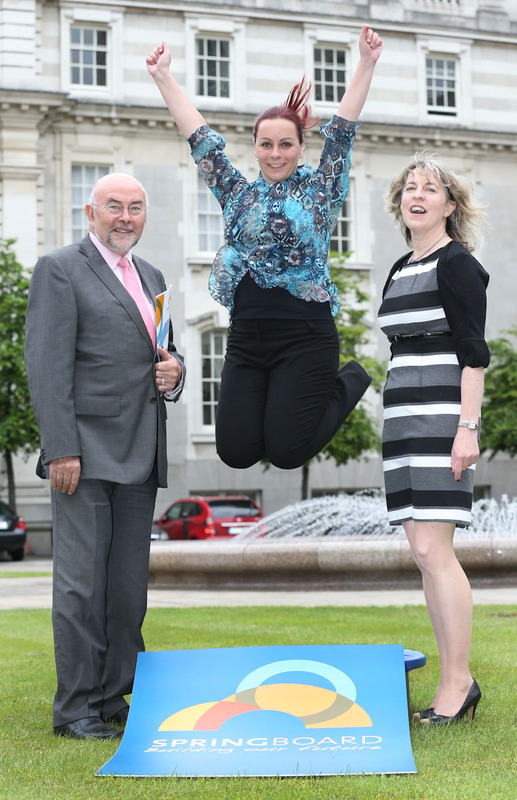 Today (Sunday 23rd June) saw over 150 Street Feasts, in partnership with Centra, take place across Ireland. 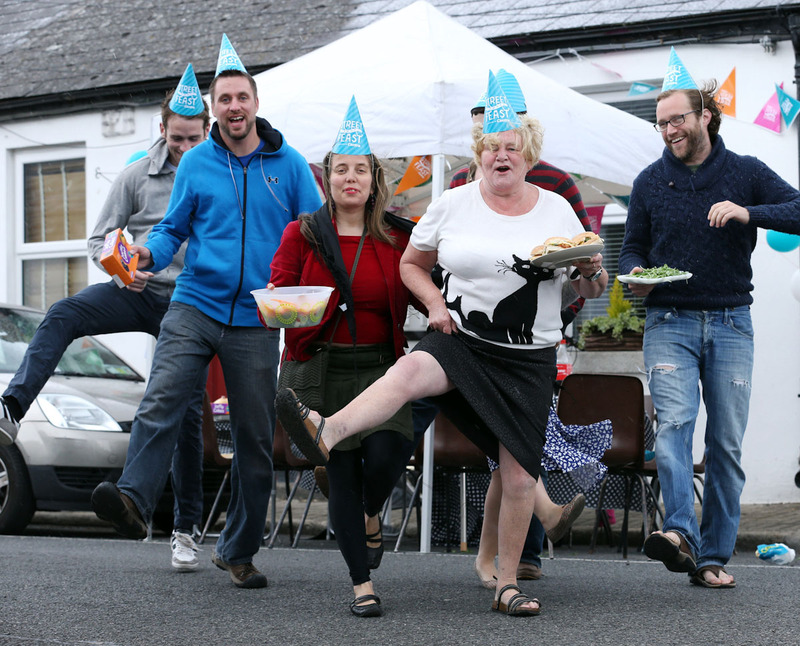 Centra Retailers called on neighbours nationwide to organise a Street Feast with the simple idea of dining “al fresco” on their street, green area or local park to rediscover neighbourliness and long-lasting friendships within communities. 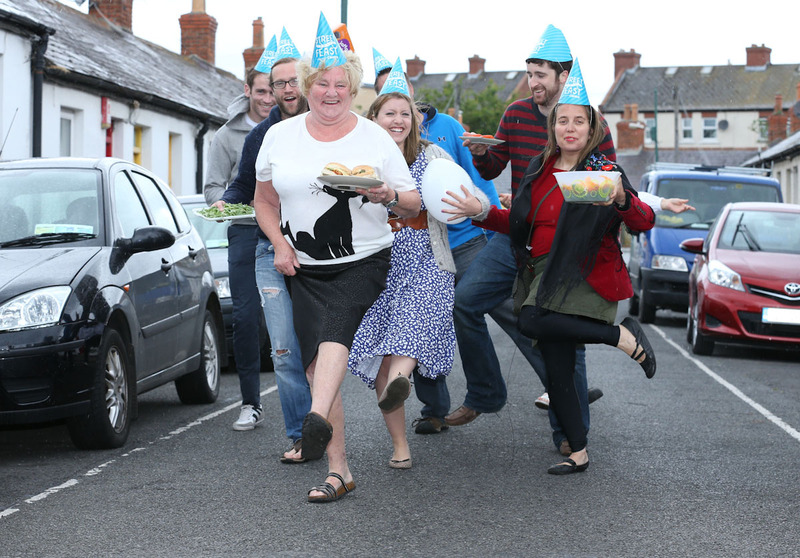 Centra is at the heart of communities throughout Ireland, and as part of this campaign, supplied Street Feast party packs full of bunting, invitations, balloons and lots more to help get the party started! 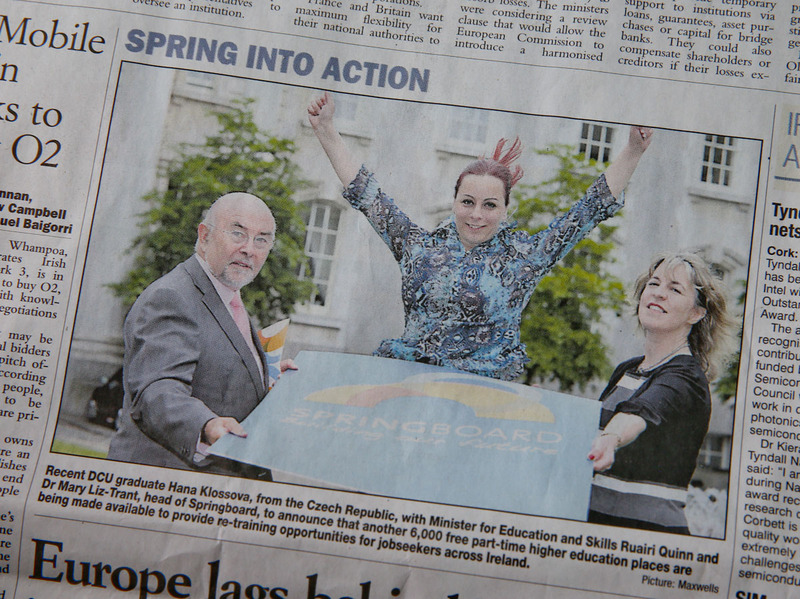 Another 6,000 free part-time higher education places are being made available to provide re-training opportunities for jobseekers. 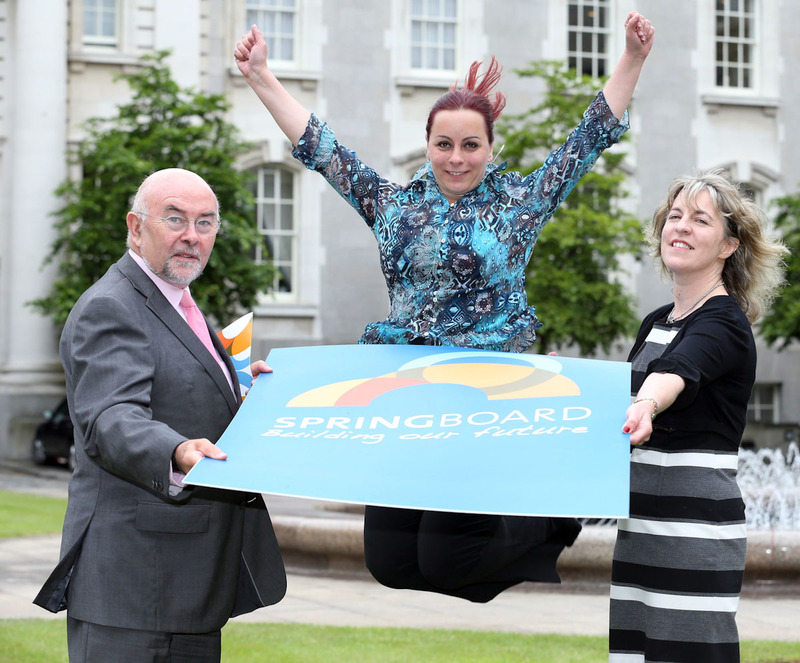 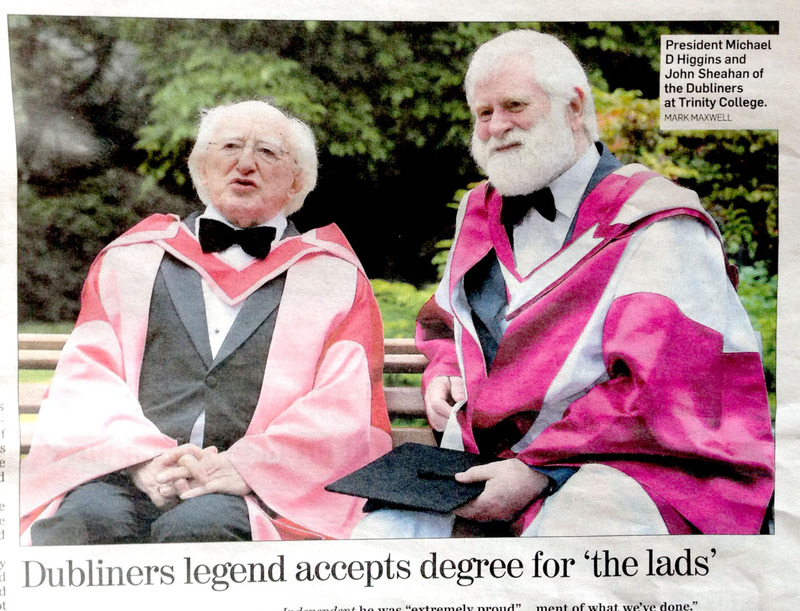 The third Springboard allocation was announced today by the Minister for Education and Skills, Ruairí Quinn T.D. 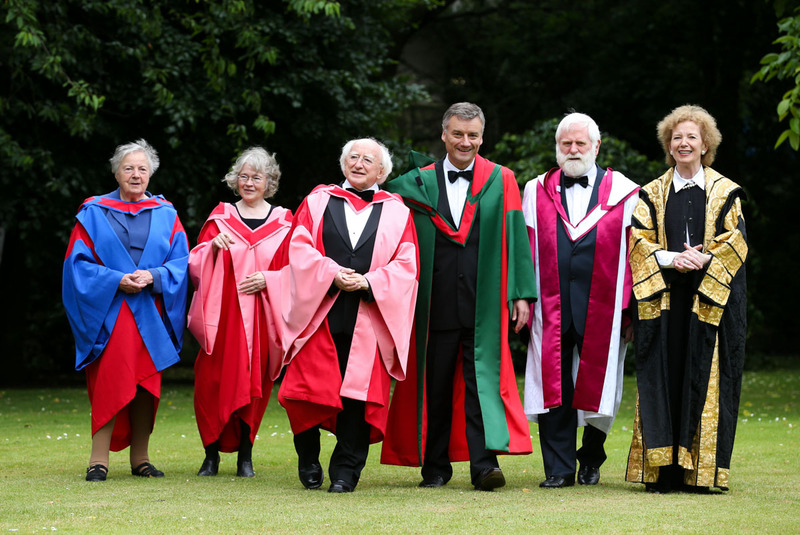 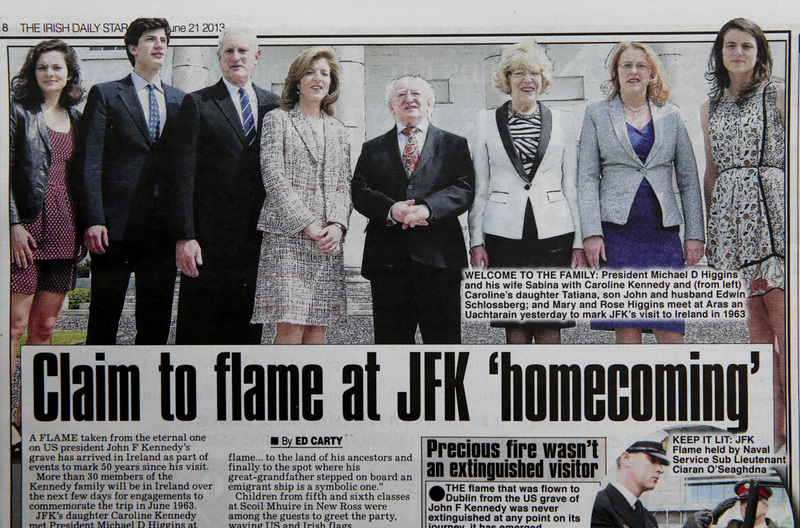 Pic shows President Michael D. Higgins and his wife Sabina with Caroline Kennedy and from left Tatiana , John , Mr Edwin Schlossberg , Mary Higgins and Rose on the occasion to celebrate the visit of her father to Ireland 50 years ago . 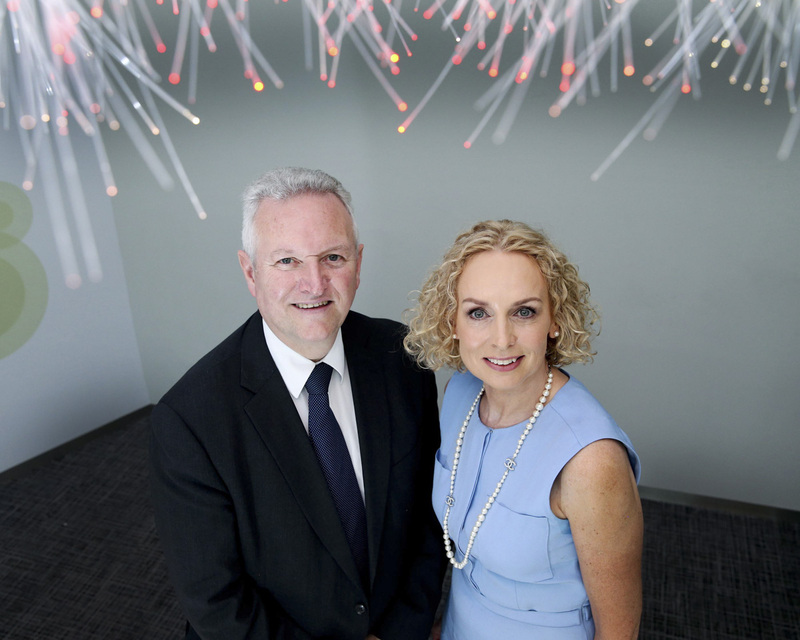 Pictured at the announcement were recently appointed Government CIO Bill McCluggage and Anne O’Leary, CEO, Vodafone Ireland. 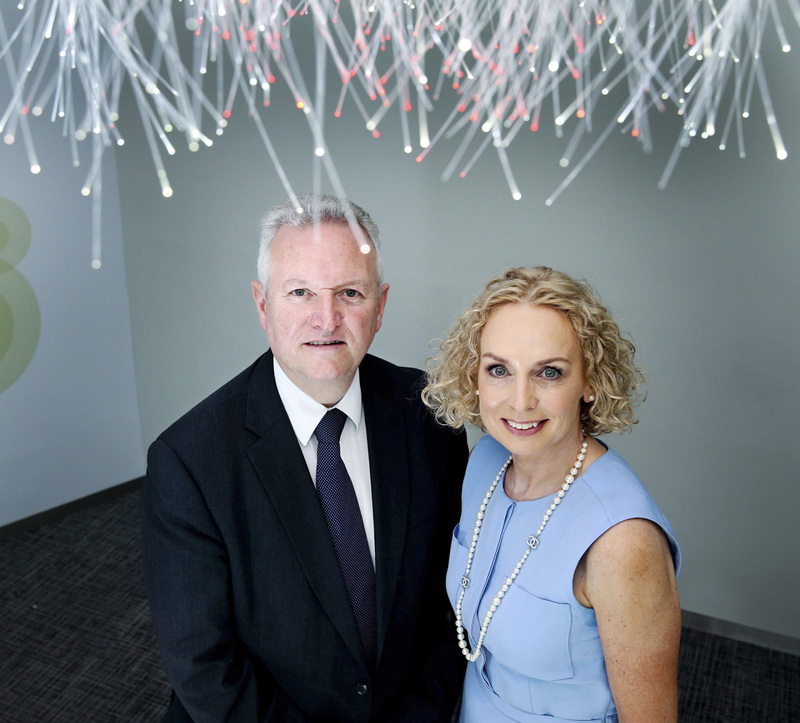 Vodafone Ireland today announced that it has been selected by the Department of Public Expenditure and Reform to supply a managed high bandwidth fixed data network to Government departments and public sector agencies. 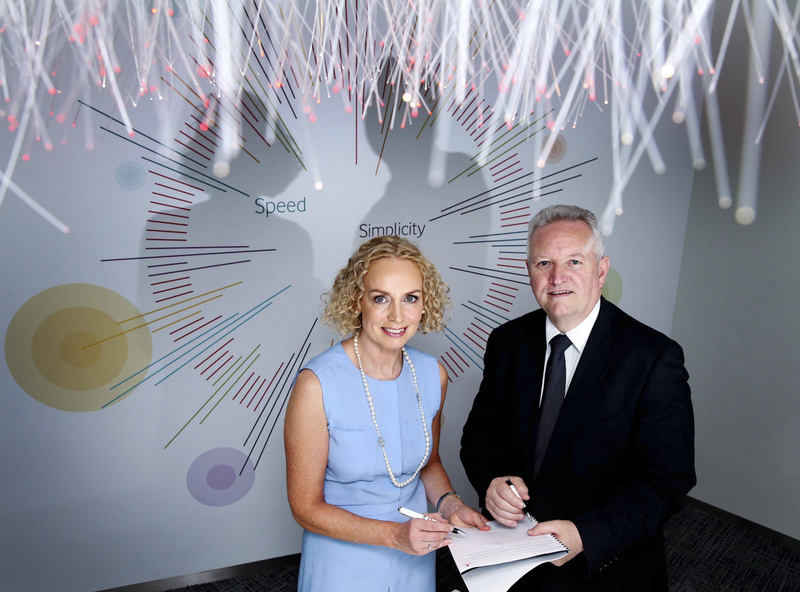 The new network will help accelerate the Government’s implementation of cloud computing to deliver a digital infrastructure that will improve public services and drive a more efficient public sector. 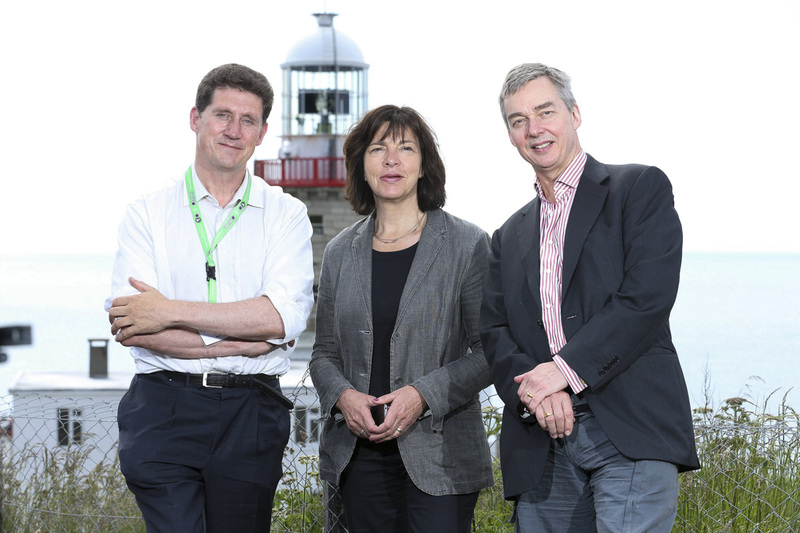 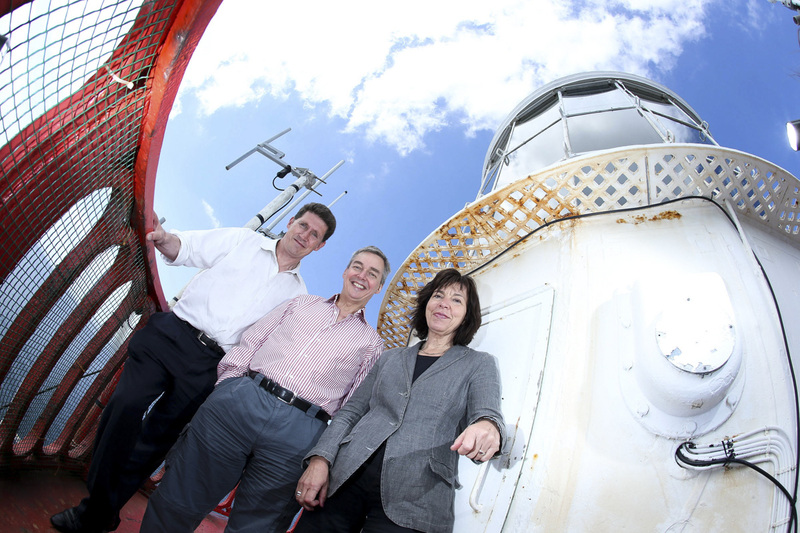 Vodafone plans to invest €5m to provide this infrastructure over the next three years. 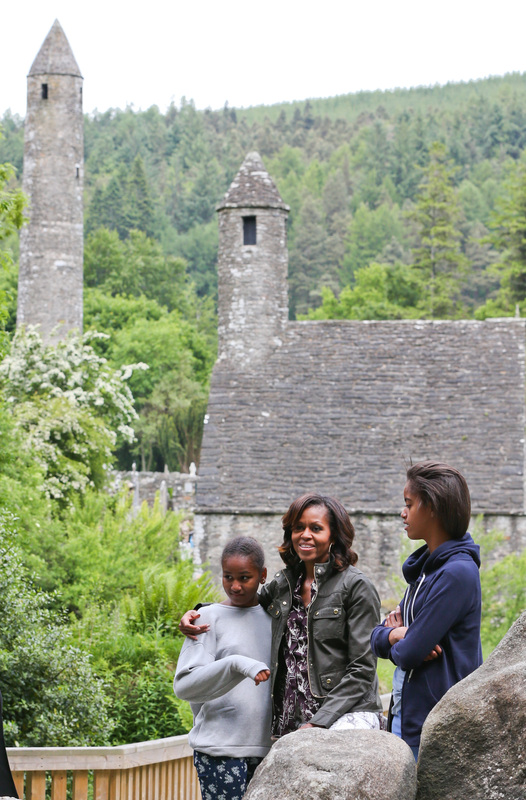 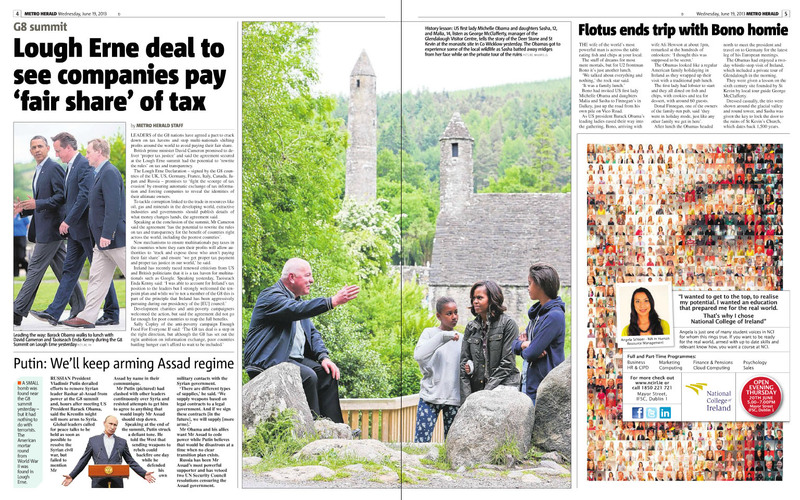 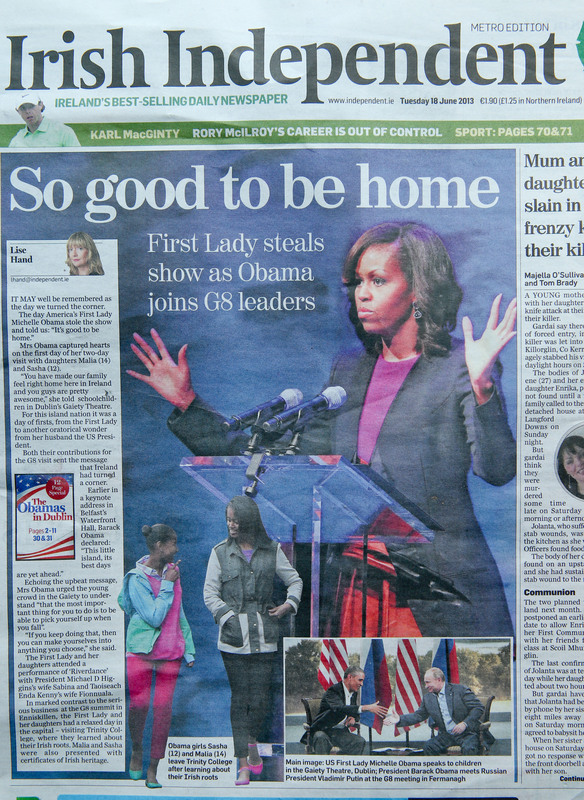 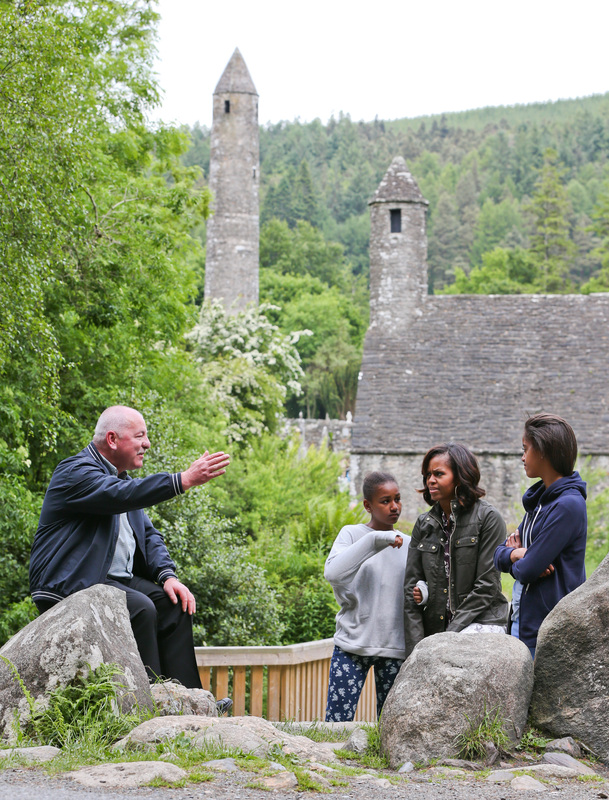 Picture shows from left with their Tour Guide, George McClafferty,Manager of the Glenadlough Visitor Centre at the Deer Stone with Sasha Obama(12) ; the First Lady of the United States of America Michelle Obama ; and Malia Obama (14) ; at the Monastic Site in Glendalough National Park, Co Wicklow.